At Dave Earnden Coaching we are always on the look out for the best sports coaches who have the ability to deliver our programs to a high standard. For exceptional candidates opportunity exists within our Senior Leadership & Management Department where you will be placed on our Fastrack Management Development Program. We are looking for coaches from all sports, graduates with a sport/sports coaching related degree and, most importantly, coaches with a 'can do', positive and enthusiastic attitude. If you feel you have all the attributes to succeed with Dave Earnden Coaching then we would love to hear from you. Simply fill in the form with a brief overview of the following and we will send you a recruitment pack. To plan, deliver and monitor a co-ordinated programme of high quality, professional coaching activities which are progressive and reflective of the needs of young people in schools and in the local community. The coaching programme will link school, community and club provision and aim to provide increased opportunities to retain young people in sport. · To organise, plan and deliver high quality PE & After School Club sessions across all Key Stages for schools to ensure sustainability of activity and increase the quality of PE and School Sport. 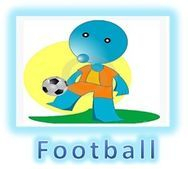 · To set up and coach at out of school hours sports clubs, encouraging attendance in particular by children who do not usually participate in sport. · To prepare and implement well-structured and progressive coaching programmes ensuring a high quality, enjoyable coaching experience centred around the needs of the participants. · To assist in identifying talented young people and encouraging further development via a number of different courses/opportunities. · To be a positive role model, creating a positive and fun environment in which to motivate and encourage young people to participate in sport or physical activity. · To effectively supervise direct support staff and volunteers where appropriate. · To be committed to continuous professional development relevant to the post and personal training needs supporting future career advancement. · To maintain current knowledge of relevant National Governing Body programmes, policies and practices. · To carry out administrative duties as necessary eg maintain accurate attendance registers, collect monies, carry out risk assessments, etc. For coaches the minimum entry requirements are coaches with their UEFA C (Level 2) coaching qualification and above and solid coaching experience preferably with a degree in Sports Science or related sports subject. The coaching role requires a good degree of fitness and agility. In addition, it is a requirement of all coaches that they are physically capable of undertaking the necessary duties associated with the role. For example, this includes an ability to demonstrate soccer skills to players and also to assemble, move and dismantle equipment as may be necessary. We also look at coaching personality and for coaches who do not mind hard work. You will need to be self-motivated, flexible, enthusiastic, and able to work in a team and individually. You will be a good communicator with both children and parents. In addition we look for staff that are conscientious, punctual and reliable. Dave Earnden Coaching have a strong embedded philosophy of how to work, look after and coach children and we would need our staff to be clear about their philosophy and be innovative with their coaching and work. All of these areas will be discussed at interview stage with those that are successful.